At Dr. Crawford’s St. Petersburg’s periodontal office, our goal is to ensure that we provide a friendly atmosphere, comforting environment and outstanding service. Our commitment is to provide you with top quality periodontal care, because a healthier mouth leads to a healthier life. Our periodontal office provides you and your family the services of our highly trained staff and the personal expertise of Dr. Bruce M. Crawford, the leader in minimally invasive gum disease treatment in the St. Petersburg, FL area. The first part of your visit involves getting to know you, by asking some simple questions. It is important that we have this information to provide the best solution options for your case. To make things easier for you, we have created some simple forms you can complete prior to your appointment. At Crawford Implant Dentistry & Laser Periodontics, we go above and beyond for our patients. We offer a comfort menu prior to your treatment (massaging dental chairs, blankets, Bose noise-canceling headphones, coffee and tea) to make you experience as comfortable as possible. You will be given a tour of our St. Petersburg periodontal office, which includes a cozy living room style reception area. And as a first time patient, you will even receive a free gift for coming in! You can schedule your initial Crawford Consultation today by calling 727-231-5908 or completing our online form. Periodontal disease is the leading cause of tooth loss in adults. In its advanced stages the gums can become red and tender, and you may bleed when you brush your teeth. You may also experience bad breath and an unpleasant taste. If you don’t get it checked by a doctor, periodontal disease can become much more serious. It can lead to the development of bacteria pockets, enter the blood stream, and contribute to other medical problems. Without proper treatment, the periodontal pockets can deepen, and might result in tooth loss. Prevention is vital in order to ensure you have the best oral health possible. Many people have gone to the dentist to deal with a cavity, but understanding some basic things about the teeth can stop you from having to deal with tooth decay. Quick and easy to use fluoride containing rinses and toothpastes can be easily worked into your daily oral care routine to help you maintain the mineralization of tooth enamel. Many acidic foods can rapidly damage your teeth when left in the plaque for long periods of time. You want to be sure to clean acidic and sugary food off your teeth, especially when going to bed. Brushing, flossing and rinsing with mouthwash twice a day helps you maintain the health of your teeth and gums. 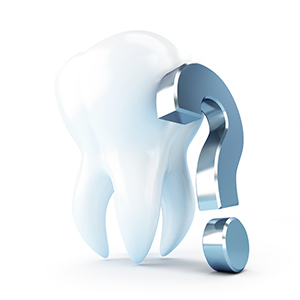 Can Age Affect My Dental Health? 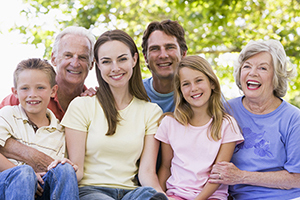 As you age, the condition of your oral health is even more important. Although the mouth changes as your body ages, losing your teeth does not have to be one of those changes. Teeth can usually be kept for a lifetime with proper care. Drinking tap water can be beneficial for your teeth regardless of your age. If you have Diabetes, Periodontal Disease can affect the control of the Diabetes and make it worse. Receiving regular cleanings at the dentist is recommended to help identify and stop gum and tooth diseases. Maintaining a healthy diet can be a definite contributing factor to keeping your teeth as you age. Vitamins and minerals from fruits and vegetables are vital as well as drinking plenty of water. Eating snacks throughout the day can reduce the effectiveness of saliva and lead to tooth decay. Getting older can mean that your gums might recede, and teeth can become discolored. Whitening toothpastes or techniques, as well as restoration of oral tissues, can help rejuvenate those aspects of an older mouth. With proper oral health techniques and regular dental visits, you can maintain a healthy smile for life. Can Smoking Really Affect My Teeth and Gums? If you are a smoker, you may wonder what affect it can have on your health. Well, it’s true that smoking can cause damage to basically all parts of your body, but sometimes we don’t realize the effect it can have on oral health. Smoking often causes periodontal disease, increases the healing time of your mouth, and increases the risk of oral cancer. Additionally, it may worsen bad breath, and the stains that accumulate from smoking often can’t be removed without help from your dentist. In addition to immediate benefits to your oral health, cessation of smoking also reduces the risks for high blood pressure, heart disease, and lung cancer. Smokers who quit usually see fast results, with a whiter smile and better gum health. Do I Need A Dentist If I Don’t Have Any Teeth? Having no teeth doesn’t mean you no longer need oral care. Gum disease can still be a concern, so you should have an exam at least once a year to prevent any issues. Also, at Crawford’s dental practice, you still have options when it comes to restoring your smile. We offer many solutions, including innovative techniques like Pinhole Surgical Technique, Teeth in a Day implant supported dentures, and gum recession treatment. You can go from no teeth to a beautiful new smile, with our advanced treatment solutions.